Würth Elektronik and ROHM Semiconductor developed a plug & play wireless power solution to demonstrate the advantages of wireless power. This gives you the opportunity to test and integrate a wireless power solution into your product design. 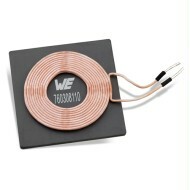 The 15 W Wireless Power Kit can be ordered here. All ROHM Semiconductor reference designs containing Würth Elektronik parts can be found here.